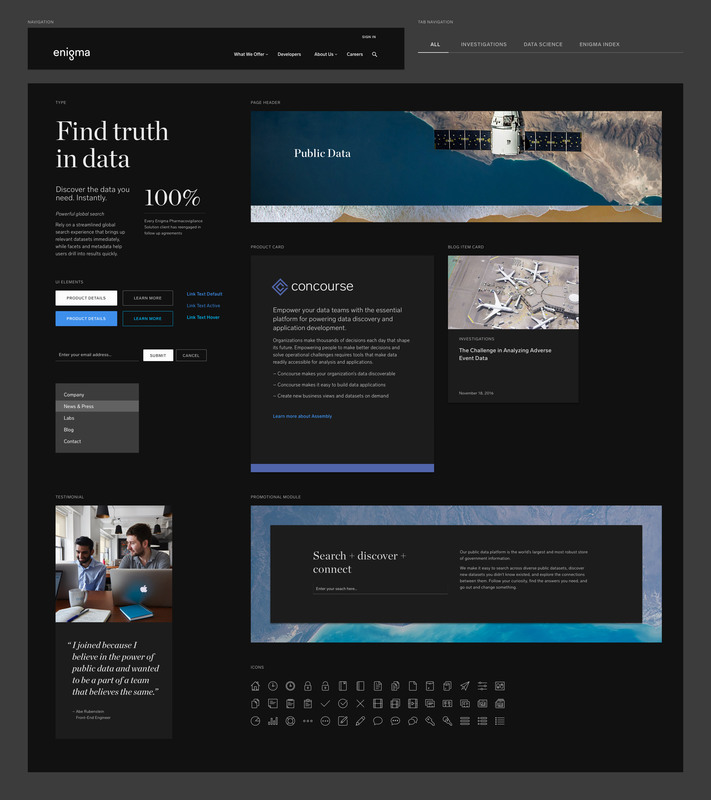 Working with the world’s largest aggregated collection of publicly available data, Enigma enables companies and organizations to see the big picture and solve bigger problems. 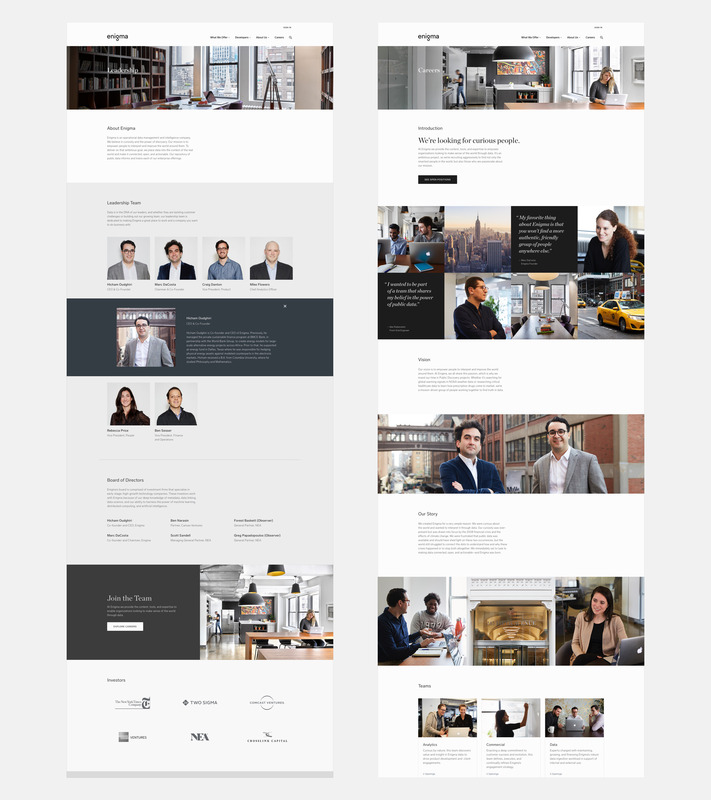 This multifaceted entity needed a suitable brand expression to convey the depth of their expertise. 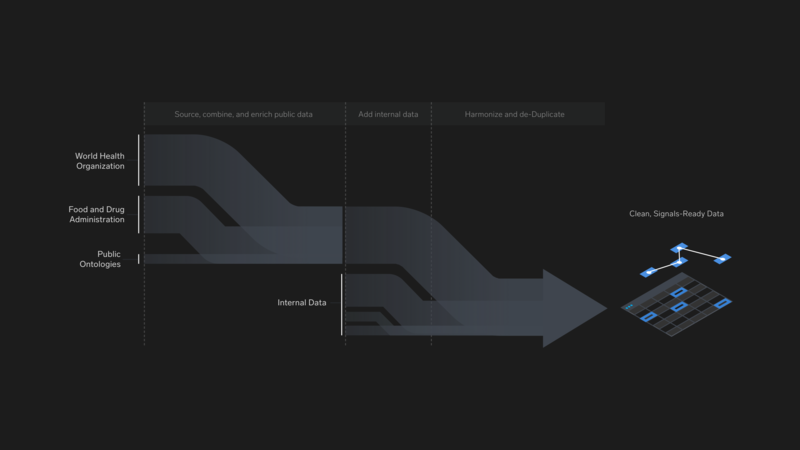 Because data is complex by nature, it was important for Enigma to distill their offering into something that could be quickly and easily understood. 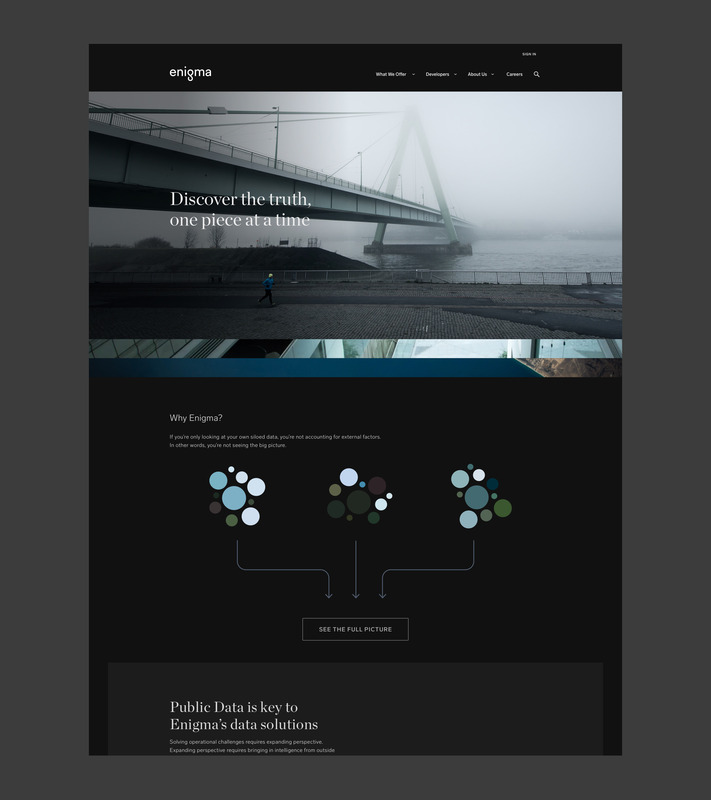 The visual identity reflects the way that Enigma leverages near-infinite amounts of data to tell a deeper story. 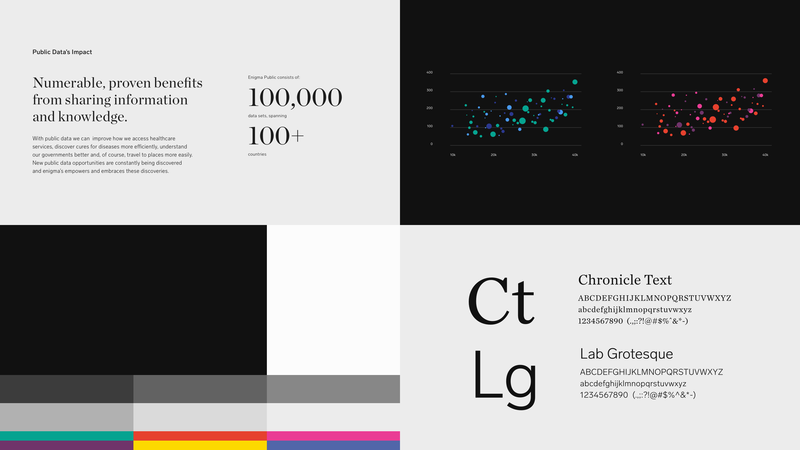 Enigma is visualized through a hierarchical approach to typography, a high contrast color palette, and rich data visualization. 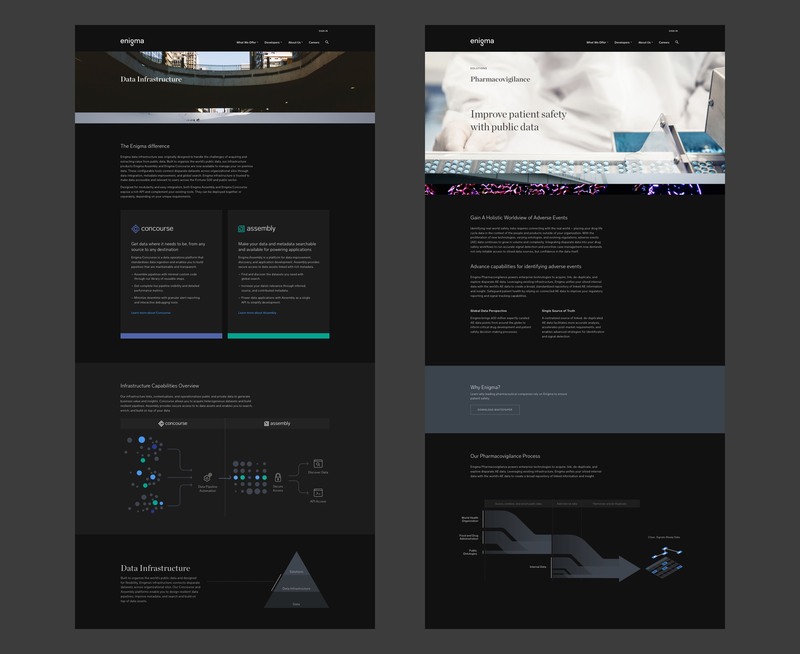 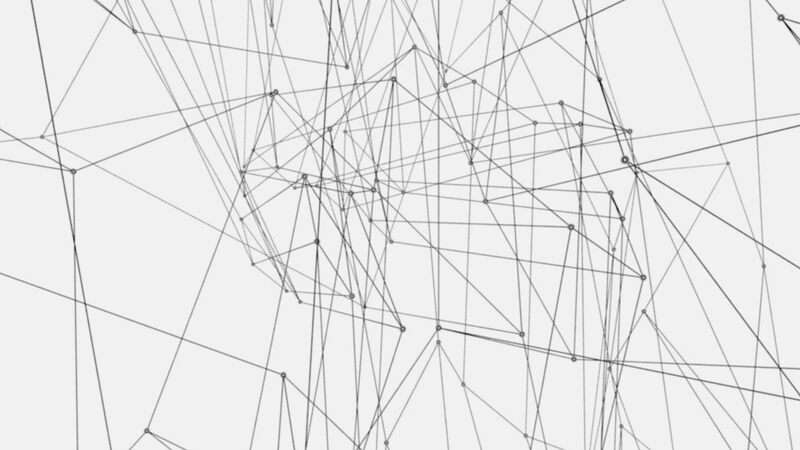 From taxonomy to visual design and overall tone, Enigma’s site clarifies their offering and promotes them as a thought leader in the data space.